CAL have worked sucessfully with a number of businesses and organisations to introduce or enhance the effectiveness of remote, more mobile working practices; what our clients call 'Smarter Working Teams'. Using our unique 3 step approach, experence and expertise, CAL have helped their clients reduce operational costs and at the same time, create dynamic, highly productive Smarter Working teams. ‘Click’ here to get more information on how CAL has successfully delivered Smarter Working Teams for its clients. CAL worked closely with this global technology consultancy, providing specialist remote and mobile team solution products and services. Benefits: Introduced standard approach to 'multi-location' teams, reducing risk and operational costs, while increasing team productivity. CAL has worked with PowerGen to provide consultancy to their Energy Management Centre facility in Warwick. Successful projects include work with their daily offer and the domestic customer metering teams. Benefits: Reduced operational costs and raised team productivity. CAL Helped Gosport Borough Council to identify areas where mobile working could improve service delivery. Once the areas were identified a strategy was developed with the client in order that maximum return could recognised at the earliest opportunity and more complex projects staged in order to ensure change was balanced with the need to maintain services to both commercial and residential customers. Benefits: Quickly identify areas for minimal investment and maximum return in a structured and logical strategy that was right for Gosport Borough Council. CAL worked with Metoc to deliver a training workshop to the management team in order to build on strengths and identify a programme of changes to operational teams where Smart Working could be improved. Benefits: A view from an independent Smart Team specialist gave Metoc a clear plan and staff commitment. CAL took a mentoring and software project management role with Sesame, - the largest data providers to independent financial advisors in the UK. Benefits: Raised team skills base and increased team efficiency. VoxIQ had a aggressive development program to bring their multi-locational teams together and deliver a complex product to a very tight schedule and budget. CAL were selected to help turn this into reality by applying techniques and tools to maximum effect and result. CAL continues to work closely with the client and help them maximise return on investment and growth opportunities. Benefits: Enabled effective product delivery within a global team. Development partners with the e-Hampshire MATISSE programme, CAL have working closely with the executive team to ensure the successes of delivery of the Smarter Working calculator and workshops to both public and private sector organisations. Benefits: Introducing a standard approach to Smarter Working Teams which maintains quality and reduces costs. CAL were recuited to tackle the unique issues faced by the organisation in operating an international team across different time zones and locations right accross the globe. These challanges were no different to those faced bymany organisations, just exagerated by geographical distance. The main issue was to co-ordinate teams in multi-functional rolesin an efficient and effective manner. Benefits: Raised skill base of staff and introduced standard approach, reducing operational costs. 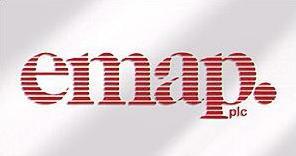 emap (uk) one of the leading business to business media groups, emply multi-locational research teams. CAL helped to identify the areas where performance could be improved and highlighted the unseen elements that would increase team efficiency. Emap continue to introduce our recommendations and have seen the challenges they faced being addressed. Benefits: To clearly identify need and action plan to improve productivity. Working to implement their flexible working agenda Westminster recuited CAL to undertake a health check on their progress and to check the areas of their implementation plan. CAL worked closely with the consultancy team to identify the challenges and suggest solutions. After the study was completed the council had identified a number of new issues, which when addressed resulted in a successful project. Benefits: Highlighting areas of need not previously identified with an action plan to reduce risk and ensure maximum benifit from smart and flexible working. 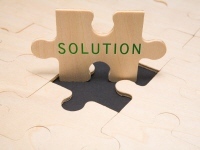 CAL worked with the County Council Social Services department to complete a health check on various teams to ensure they were using their staff, technology and resources to maximum effect. The results highlighted where improvements could be made and CAL continue to work closely with the team managers as this programme is delivered. Benefits: To highlight areas where operational processes could be streamlined and costs reduced. CAL worked with WRVS teams across various office locations: rationalising different teams, mentoring on management best practice in addition to providing a roadmap that has enabled the charity to make considerable savings through the adoption of mobile and remote 'Smarter Working' practices. Benefits: CAL's work with WRVS has refocused and raised team morale and achieved higher then expected operational savings.